In October of 2010, Clinical Director Mona Afary organized a trip to Cambodia with 13 clients, CERI’s staff therapist, Hamid Shafiezadeh, and CERI’s interpreter, Sandra Pech. Most of the clients who travelled to Cambodia had not visited their homeland since they were forced to flee from Pol Pot’s genocidal regime. .. 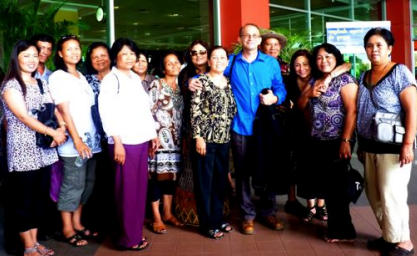 In October 2010, CERI staff and 13 clients embarked on the agency’s first trip to Cambodia. A few days before returning to the United States, in Siem Reap, the group was approached for help by two young boys, ages 9 and 11. Both boys lived on the streets and were being physically and emotionally..